When I was a kid, gaming magazines were my life. I devoured issues of Nintendo Power, Game Players, and EGM. I couldn’t wait to read the latest reviews, check out tantalizing previews, and get tips on how to beat my favorite games. These days, I can get the information those magazines delivered in less than an hour. When a big announcement is made, I know about it within minutes. I write my own reviews, and any questions I have can be answered with a quick trip to Google. I can learn just about anything in an instant, and I love it. I’d never willingly return to that slow drip of information. 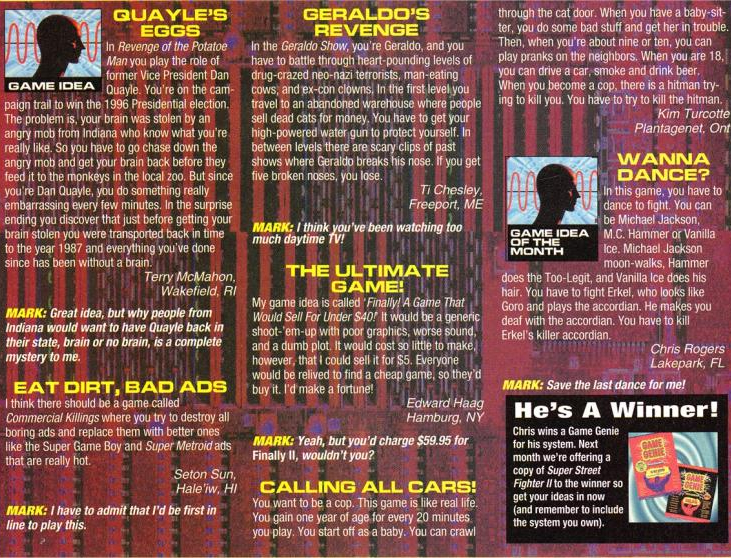 Still, there’s one aspect of old school games journalism I sorely miss: the letters page. You could argue that a comment section provides the same thing, but you’d be wrong. Modern comments sections are a great place to have a conversation, but a far less interesting place to read opinions. Letters to game magazines couldn’t be rattled out in an instant. People had to care enough about what they were going to say to write a letter by hand and send it via snail mail. That didn’t mean their opinions were more informed — in fact, they were frequently terrible — but they were a lot more intriguing. Old letters had a specific brand of weirdness that’s hard to find anywhere else. The Internet invites artifice. Comment sections are full of blatant trolls and attention seekers. In contrast, letters pages felt incredibly honest. 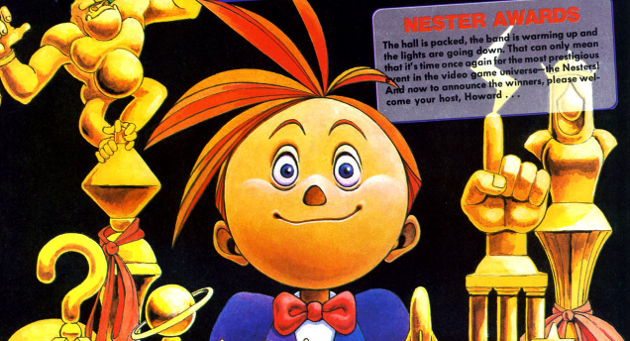 Even the kids claiming their uncles worked for Nintendo had a strange authenticity to them. 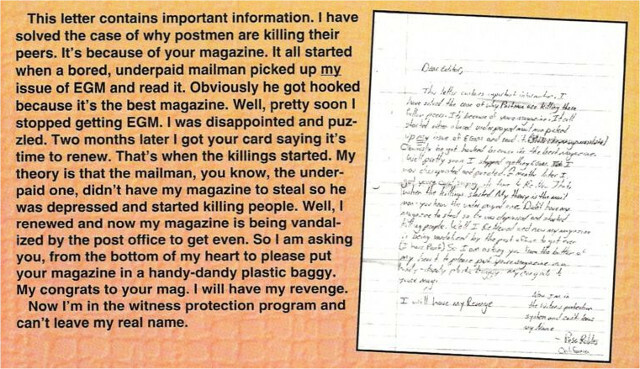 Maybe it’s because most of the letters were written by actual 12-year-olds, but the lies were so obvious it was kind of charming. I don’t think there’s any way to recapture the magic of the letters section. The world has changed, for better and for worse. All I can really do is flip through my old gaming magazines and enjoy the blast from the past.